GMC Service and Repair in Holly, MI | Armstead Automotive - Armstead Automotive Repair and Service Inc. 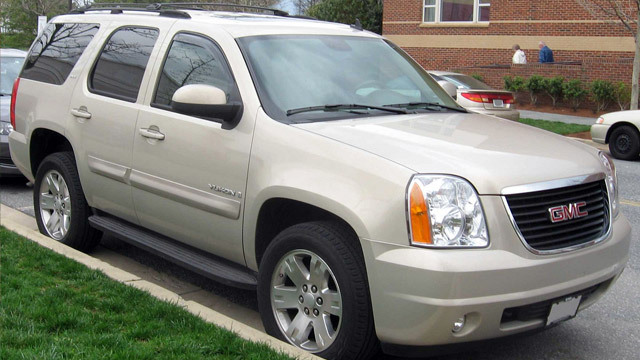 If you are in the Holly area and are looking for excellent auto mechanics to work on your GMC, look no further than the highly trained and experienced team of auto repair experts at Armstead Automotive Repair. We pride ourselves on being the go-to shop for even the most difficult GMC challenges. We love giving your GMC a simple oil change or addressing far more complex issues. We treat your GMC like it was our vehicle. No matter the make and model of your GMC, we know how to deliver top-notch service to keep your GMC on the Holly road for as long as possible running at the highest performance levels imaginable. We take great pride in the work we do for you and your GMC. We have worked hard to build a stellar reputation among Holly drivers. Your GMC is in good hands! “Armstead Auto Repair is an absolute gem in our community! They are honest, fair and very thorough in their work. I highly recommend them to anyone looking for quality automotive service with great customer care.” -- Karen T.
When you need an auto repair shop you can count on in the Holly area, Armstead Automotive Repair is your go-to solid! We have an excellent reputation for being able to fix problems that other shops find too challenging, and we back our work with a 3-year/36,000-mile in-house warranty and a 2-year/24,000-mile nationwide to give you that extra peace of mind. We pride ourselves on standing behind our work and for being there for our wonderful customers. Schedule an appointment today for GMC service and repair. We are conveniently located at 15310 Fish Lake Road, Holly, MI 48442. Our hours are 8:00 AM - 5:30 PM, Monday - Friday.